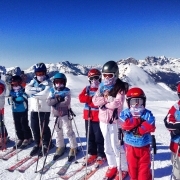 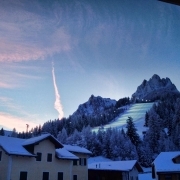 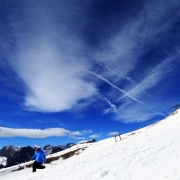 The Vajolet Pozza ski school welcomes you with specially-devised programs where all children can learn to ski on a nursery slope in complete calm and safety. 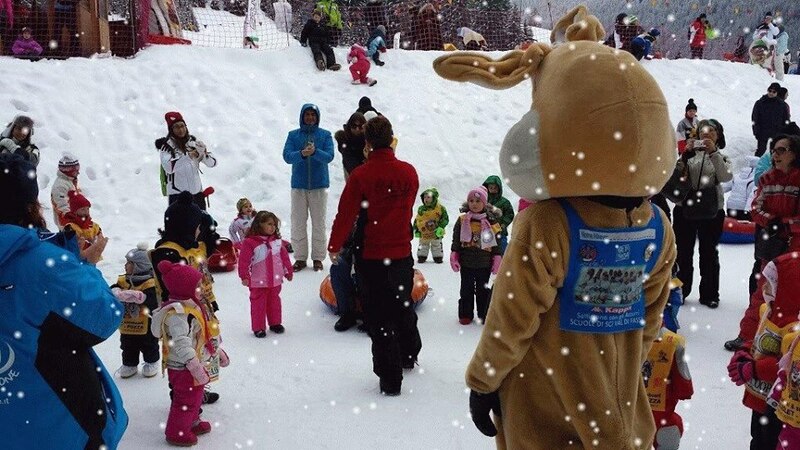 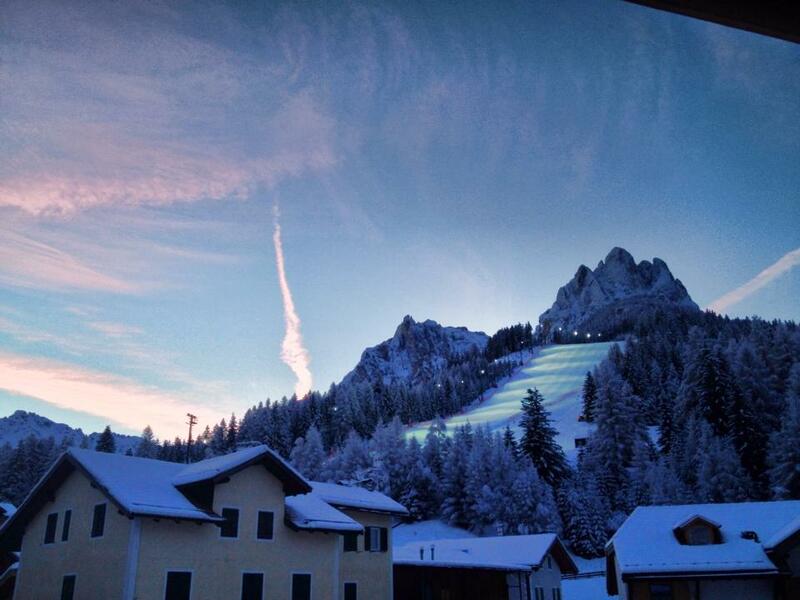 In addition, children from 3 to 5 years old can take their first steps on skis in the “Park Bimbo Neve”. 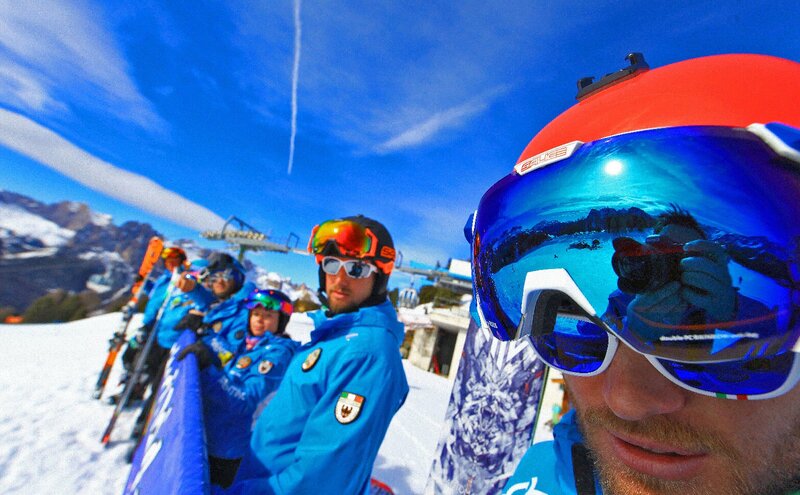 The instructors and entertainment organisers will be able to make your holiday even more enjoyable. 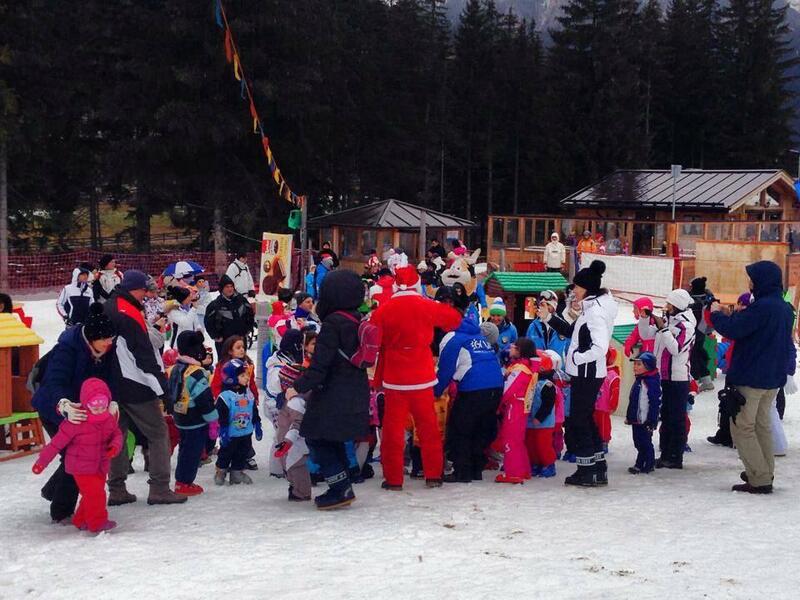 At the Park Bimbo Neve, located on a sunny, flat area sheltered by the Fraine nursery slope, the instructors are waiting to welcome you with suitable courses where very little children, from 3 to 5 years old, can take their first steps on the snow, with skis on their feet, helped by specialist instructors in absolute calm and safety. 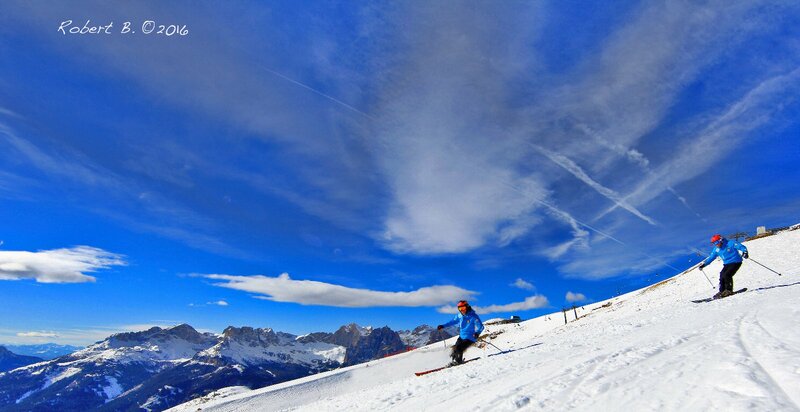 The magic carpet will avoid them having to make the boring climb back up. 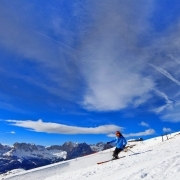 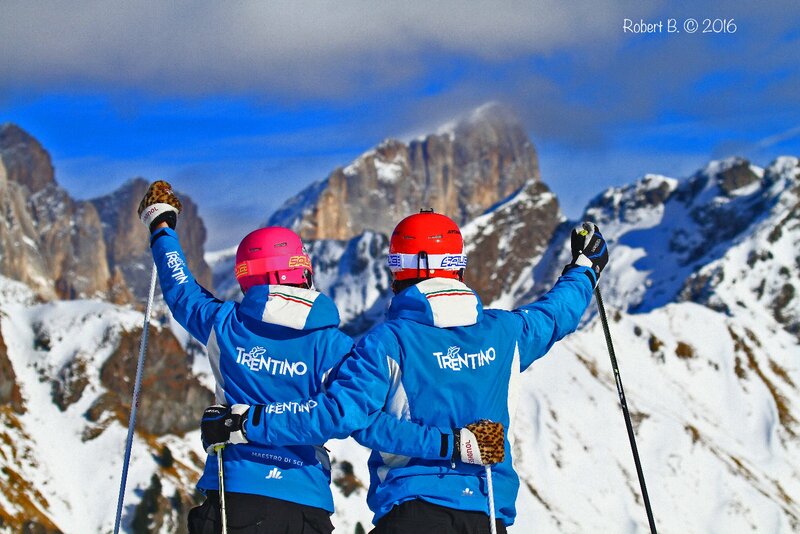 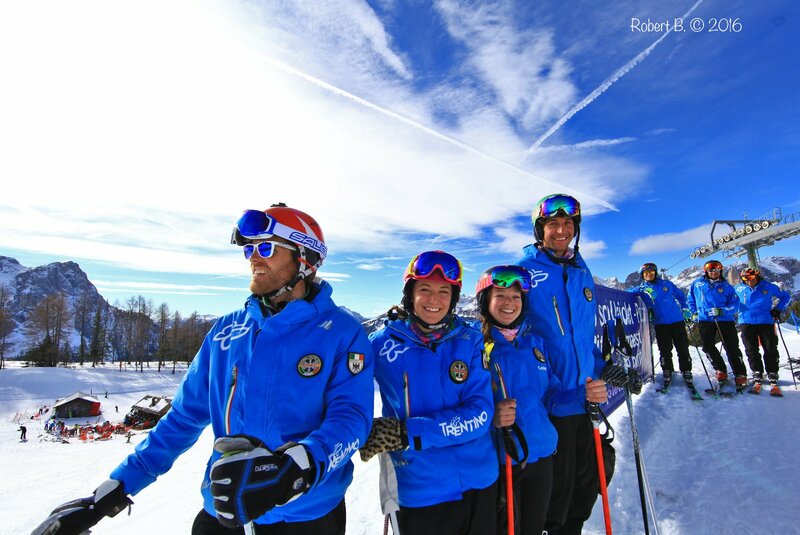 Finally, for courses in the Park Bimbo Neve, skis and ski-boots are offered free of charge by the skiing instructors*. 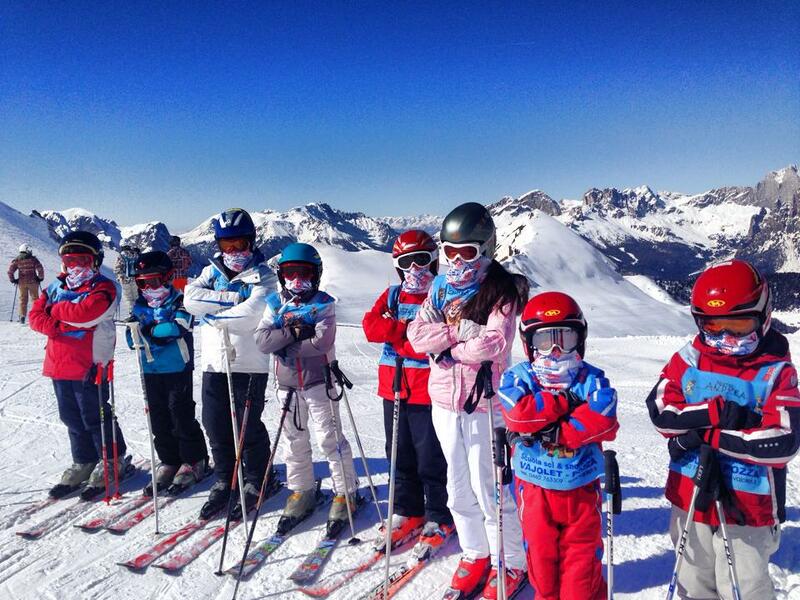 The groups will have a maximum of 7 kids for each instructor! 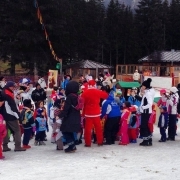 The Park Bimbo Neve is run by qualified personnel and has an area equipped with sledges, spades, games on the snow and lots of fun activities. 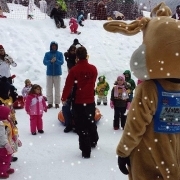 There are entertainment organisers and specialist staff to guarantee enjoyment for everyone, right down to the very smallest. 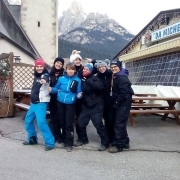 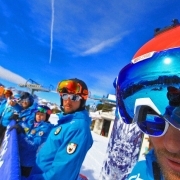 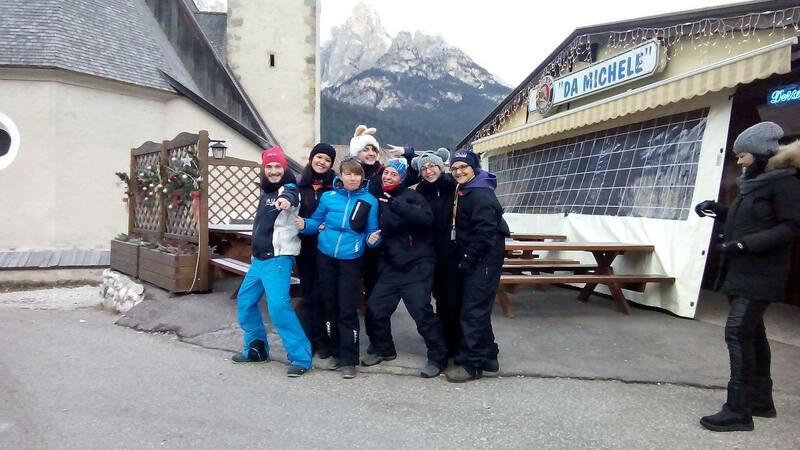 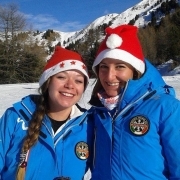 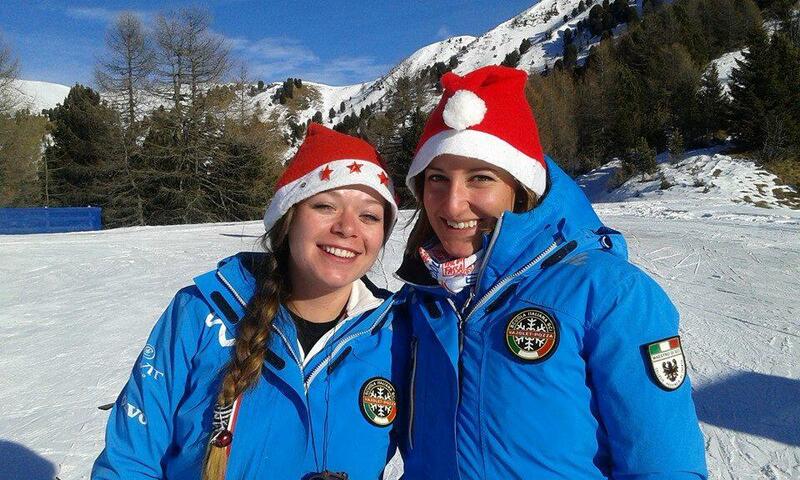 Trips on the little train are organised, guided by ski instructors.